Published at 24/05/2017 17:50:34 from Argentina, 7410 visits. 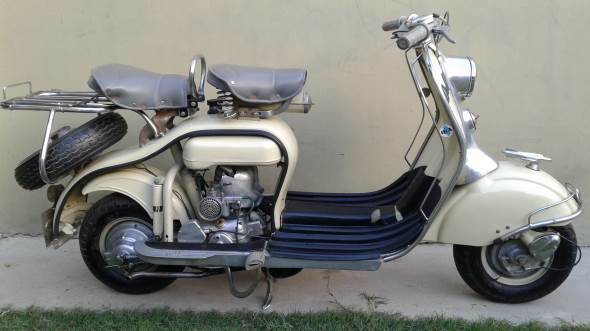 For sale: Siambretta 125 cc LD year 1958, excellent state of restoration. All original from factory, original accessories of the era, the bike is walking in optimal conditions. Holder with its documentation requirement for transfer to the purchaser`s sale. It is located in San Juan capital. Your question does not bother.